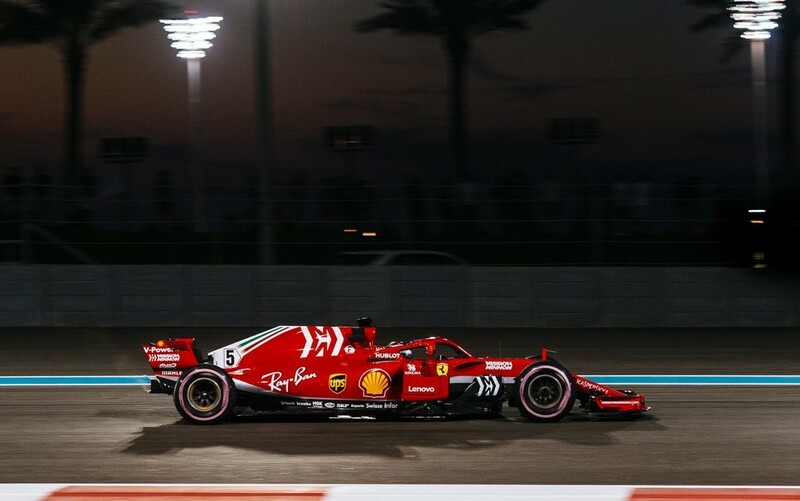 Sebastian Vettel believes that the Abu Dhabi Grand Prix will be won by the driver that keeps his tyres in the best shape for longest. The German admitted that after Friday’s running, in which neither Ferrari broke into the top four, in either FP1 or FP2. Usually, the Scuderia turn their engines down on a Friday to not show their true performance, but that may also not have been the case at Yas Marina. “I think it has been okay. Obviously we are not yet quick enough but hopefully tomorrow we will,” Vettel said. Despite the issues, the German believes that they still can improve in their qualifying pace come Saturday evening. “Yeah, as I said, not entirely happy yet but in the evening it was better,” the four-time World Champion added. For one last time, Kimi Raikkonen will race in Ferrari colours before his move to Sauber for 2019. The Finn also struggled in Abu Dhabi on Friday afternoon. Despite it being his last race for the Scuderia, he maintained his persona, and gave few words after the day’s running. “It is what we have on Friday,” he said. “We will see tomorrow after qualifying what we have on Saturday.